The pervasive dogma that complex problems require complex solutions is the root cause of many failed research programs. It is refreshing to hear when a complex phenomenon can be reduced to a limited set of parameters (preferably to just one). This does not happen every day and, when it does, I feel as if there is a breath of fresh air. 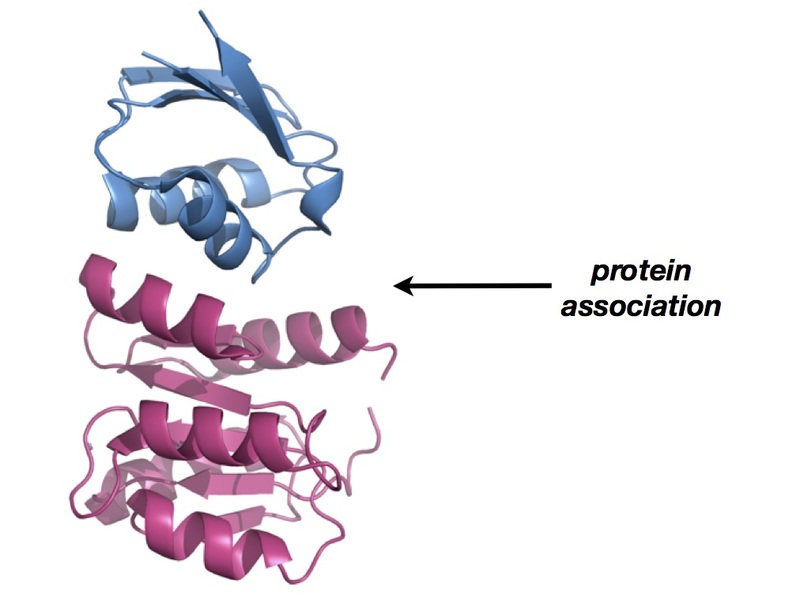 Let’s talk about protein-protein interactions. A lot of people are interested in developing small molecules that disrupt them, but I don’t think people know a lot about factors that drive the on/off rates when two protein partners engage each other. Most people (myself included) consider this to be an exceptionally difficult problem. There is a paper by Das and Basu in Proteins that takes a remarkably simple view on the on/off rate problem. Believe it or not, the cosine of the angle between the dipole moment of one protein and the dipole moment of its interacting partner correlates strongly with experimentally determined on-rates, which measure protein-protein association constants. This finding was made upon analysis of 72 crystal structures and experimentally determined binding data. 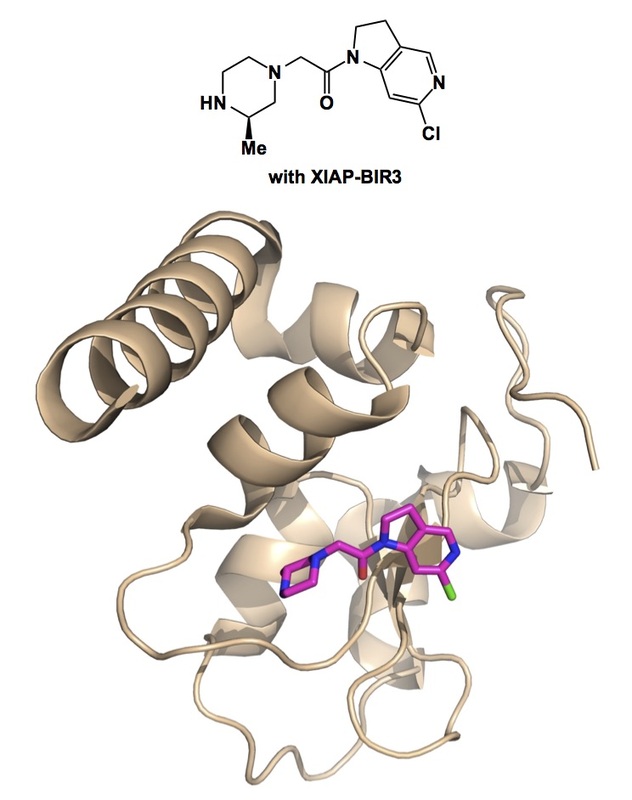 It will be interesting to see how this correlative analysis can be used to guide the development of protein-protein interaction inhibitors. There has to be a way of using the knowledge of electrostatic fields to one’s advantage (I have no idea about it, though). With the Fall semester around the corner, I am inclined to talk about chemistry education. Specifically, I will share my thoughts on a particular challenge synthetic organic chemistry has faced for years. There are two types of students we encounter in chemistry classes: the ones who like to think and the ones who don’t. We want to attract those in the first category because they are the ones who will push the frontiers of our field. The question is: are we doing enough to ensure that the largest possible cross-section of bright students enters organic chemistry? I don’t think so. We certainly do really well with “the naturals”. These kids have intuitive feel for chemistry and often possess a green thumb when it comes to lab work. They readily accept the bizarre “meta language” of organic chemistry and it quickly becomes second nature to them. But what do we do with those who are really intelligent, yet are not persuaded by the voodoo logic of organic chemistry? They are the ones who like to ask that inconvenient “next question”. For example, they are not satisfied to hear that the difference in electronegativity accounts for the fluorinated substrate (below) working well in the nucleophilic aromatic substitution and the chlorinated counterpart failing miserably. Such explanations are a bit too black and white for them and, from their perspective, more solid grounds are needed. I have encountered a number of such kids in my career and I can attest that the way organic chemistry is being taught is not suited for them. They might not have the natural intuition about what to do in a particular situation (e.g. which reducing agent should be used for a beta-keto ester…), but they are the ones who might enrich the field if we give them a chance. We just do not know because we lose these students to other, more quantitative, fields. The question is: what can be done about this? Below is a lovely paper in the Journal of Chemical Education that I will definitely use in my classes. With the advent of sophisticated computing capabilities that can be run on a laptop and soon on a smartphone, there is a way of catering to those who ask deeper questions about chemical reactivity. In the particular case shown, it is a fairly straightforward natural bond orbital (NBO) analysis that clearly shows why the chlorinated substrate does not work. With more and more computational tools becoming accessible, it is worth thinking about introducing seamless connections between preparative organic reactivity and computational approaches. There are other examples of really enabling metrics, for instance Mayr’s nucleophiliciy scale (http://www.cup.uni-muenchen.de/oc/mayr/DBintro.html). We need more of this sort of stuff in organic chemistry. Over the past week I was in London, England. While there, I attended the OBC editorial board meeting, which I now chair. The scientific highlight of the trip was my visit to Cambridge, where I had a chance to give a lecture at Astex Pharmaceuticals, a remarkable company that has been making tremendous strides in the area of fragment-based drug discovery. My former student, Jeff St. Denis, is working there now. Jeff made this visit happen (as well as a round of golf at the Cambridge Meridian Club – http://www.cmgc.co.uk, which was a ton of fun). One notable concept I heard about from the scientists at Astex is that of a minimal pharmacophore. This corresponds to a system of classifying small heterocycles based on their capacity to engage targets. It makes sense that some scaffolds are way “better” than others and, as you might imagine, the reasons are myriad. Astex has amassed an impressive portfolio of small molecule fragments they call Pyramid. I have always wanted to see a study that would put forth comparative metrics to gauge different scaffolds. Astex’s Pyramid is a tremendous resource in this regard. A paper describing the details of this methodology is in the works. However, I can illustrate what this is all about using one of the papers that are already out there. Take a look at the XIAP inhibitor study published by Astex not long ago. The chlorine substituent present in the molecule shown below has enabled a 50-fold jump in potency. While this might seem to just be a decent medicinal chemistry accomplishment, there is something to note about certain structural types that consistently display a knack to interact with protein pockets, be it via hydrogen bonds, stacking interactions, or other kinds of intermolecular forces. The framework that exists at Astex enables classification of weakly bound fragments and their comparative analysis. I also learned that computational assessment of the ability of different fragments to interact with their targets continues to be a challenge. Apparently, we are just not there yet in terms of fundamental understanding of weak interactions. By the way, the final compound described by Astex in the paper below shows activity in a tumor xenograft model at a dose of 100mg/kg i.p., which is really impressive. I want to talk about two user-friendly aromatic substitutions today. While the mechanisms are entirely different, there is a common link. Both of these reactions made a difference in our approaches to either making or modifying halogenated aromatics. The first reaction is the aromatic bromination process that requires a curious combination of triphenylphosphine sulfide catalyst, an aromatic compound, and N-bromosuccinimide. My PhD student Sean Liew found this remarkably mild process in Gustafson’s Org Lett paper. I can highly recommend this reaction, whose only downfall is the production of phosphorous-based by-products. I don’t think that the role of triphenylphosphine sulfide has been fully delineated, if that is what you are interested in. The other process is separated from the one above by 8 years. This is when Lilu Yu was doing her Masters degree in my lab and was in need of a mild method to replace aromatic fluorine by the hydroxyl group. I remember this process to be an excellent way to deliver the hydroxide nucleophile, although in a somewhat convoluted way. We used this chemistry, originally described by Green, when nothing else worked, so I would highly recommend this process. Peptide bonds are proteolytically unstable, which is why there have been many attempts to come up with their mimetics. The corresponding surrogates may or may not look similar to what they are designed to mimic, but their constituent atoms almost always occupy a similar volume in space (the isosteric hypothesis). In all of these cases, however, the hydrolytic stability of the peptidomimetic is substantially higher than that of its peptide counterpart. There is an interesting recent paper by Mike Shipman and colleagues in Chem. Comm. The work centers around oxetanes as replacements for carbonyl groups in amides. The core synthetic chemistry involves conjugate addition of amines to oxetane-containing nitroalkenes. There are many interesting features of peptide structure that can be probed with this oxetane concept. The four-membered ring brings about a somewhat longer C-O distance than the one seen in a typical amide. 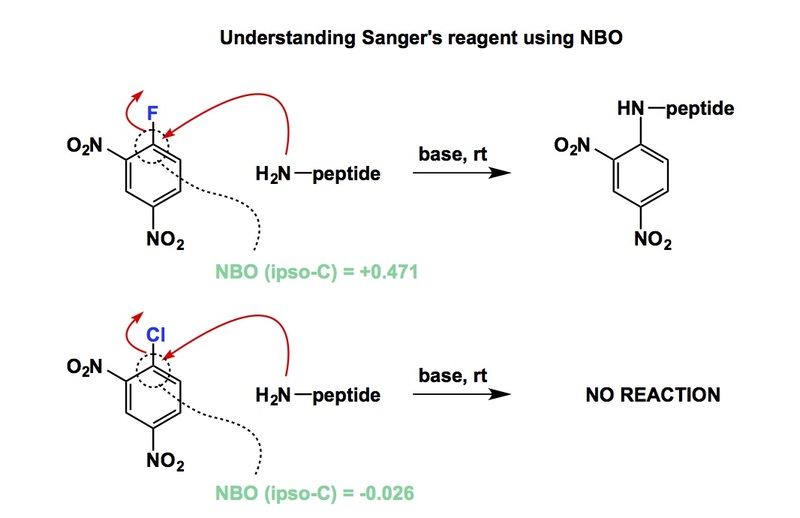 In addition, there is a completely different rotational preference compared to the amide linkage that features the nitrogen lone pair in conjugation with the C=O antibonding orbital. This is a lovely piece of molecular engineering that goes to show that there is still a lot of room for basic research. I appreciate the fact that chemists have the ability to make something with no immediate application in mind, just to test the waters and to see what happens. And, by the way, the enduring rabbit ears are still expected to be there in “oxetanated” amides (see my earlier post: https://amphoteros.com/2015/06/25/rabbit-ears/). When I look at potently bioactive molecules, I can’t help but think of a “David vs Goliath” biblical analogy. An why not, especially when something that is rather miniscule (a small molecule) exerts a profound effect on a molecular entity that is orders of magnitude larger (a protein)? I particularly appreciate subtle aspects of molecular interactions, especially if there is a stereoelectronic effect that is linked to a biological outcome. In the past, I commented on such findings several times and will continue to do so because this is perhaps the main reason why organic chemistry is second to none in terms of pure intellectual delight. David Fairlie of the University of Queensland was one of the speakers at the American Peptide Symposium I organized with Ved Srivastava this past June. In his lecture, David showed the following two molecules. The one on the left agonizes the C3a receptor (a G-protein coupled receptor), whereas the one on the left antagonizes the C3a target. Given the diametrically opposite effects of activating vs deactivating the receptor, a question arises about the underlying causes. In their JACS article, the Fairlie team provides convincing evidence that the observed effect is due to the preferred population of two different rotamers about the amide carbonyl and the heterocycle. This is a great example of how stereoelectronic effects in heterocycles dictate different dipole relationships, which in turn modulates molecular conformation and leads to different biological properties. I really like reading Adam Nelson’s papers. The one I saw in Synlett today is noteworthy because of the kind of vignette that does not typically make it into a TOC (Table of Contents) graphic. I call it the “roadkill”, which is one of the most frustrating things in today’s world of science publishing. The published content seems to be ballooning out of hand. Not only do we have way too many journals, but the sheer volume of stuff is so enormous that it is impossible to do what was feasible even 15 years ago: flip through the contents of an issue and find roadside nuggets. Speaking of nuggets, the one I found in Adam’s paper is a mere afterthought to the main point of the manuscript, which happens to be construction of heterocycles by multicomponent reactions. As I was going through the paper, I noted how a TFA amide was converted into a cyclic urea. As someone who knows (or used to know) a thing or two about trifluromethylation (my Chemical Reviews paper with Prakash was influenced by the challenge of trifluoromethyl group transfer using organosilicon reagents: http://pubs.acs.org/doi/pdf/10.1021/cr9408991), I think there is something unique here. Can you name another case that involves a TFA amide losing its trifluoromethyl group in a reaction? I can’t. The authors did not make a big deal out of this, but they should have (in my opinion). While there have been cases in which metal catalysts had triggered fluoroalkyl group transfer from fluoroalkylated acid derivatives, the seemingly trivial afterthought in Adam’s paper is worthy of note. Trapping the resulting trifluoromethyl anion with electrophiles might be interesting in a different context. Again, I am assuming that TFA amides have not found any use in this capacity, which may not be the case. After all, I have not followed this area of inquiry for a number of years.